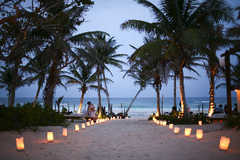 Tulum, Mexico, your Dream wedding on the beach - Dream Wedding Places and Destination Wedding Ideas.Dream Wedding Places and Destination Wedding Ideas. 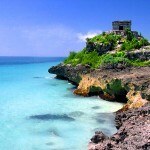 Tulum is one of the most Magic places in the Riviera Maya. 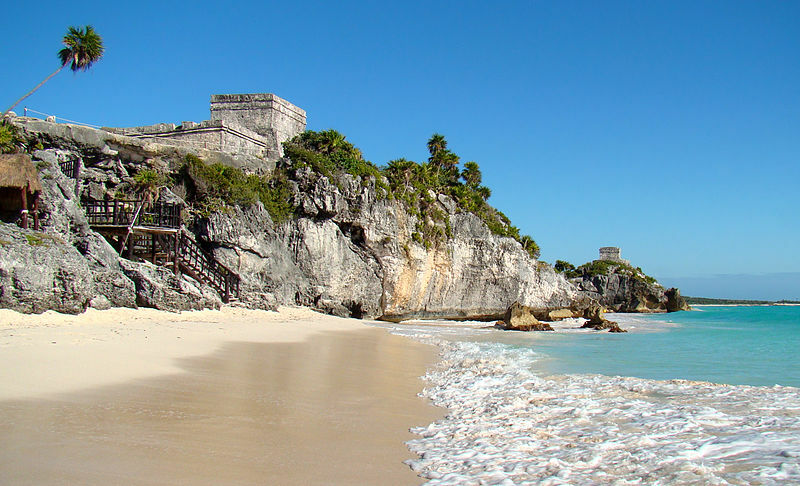 A marvelous mixture of timeless archaeological sites and wild nature combined with live Mayan culture at it’s best framed by our powdered white sandy beaches. 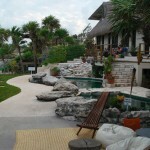 It is located 79 miles south of Cancun, 38 miles south of Playa del Carmen and 14 miles south of Akumal. 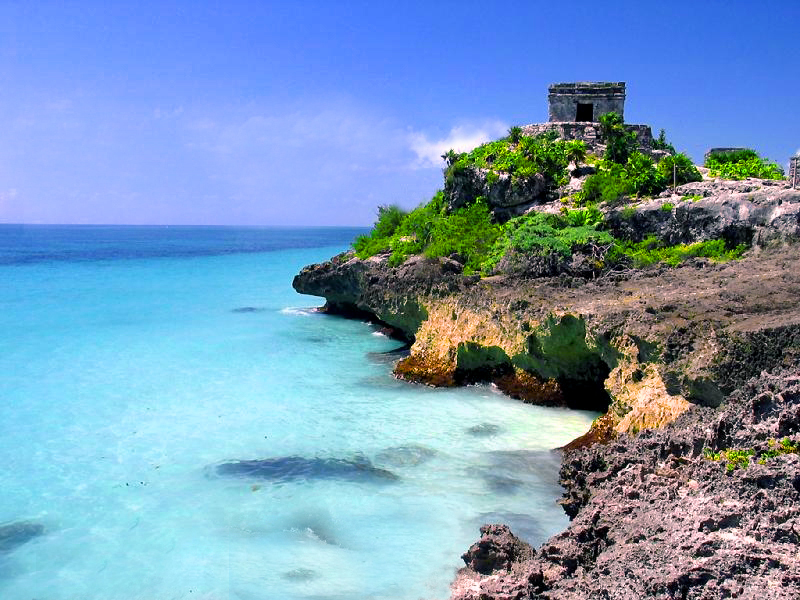 The archaeological site is one of the most visited in Mexico, the only site located facing the Caribbean ocean. 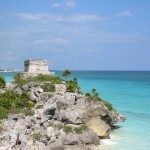 You can only imagine the eyes of the Spanish conquerors as they arrived in their ships while seeing this Majestic site. You can take a tour or go on your own. 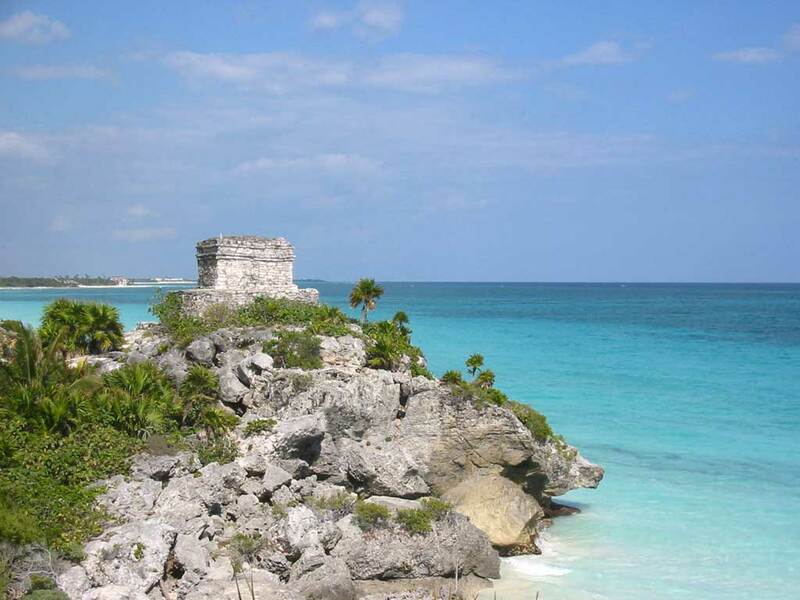 Tulum pueblo has all the basic facilities you need: a supermarket, two banks, several ATM’s, money exchange offices, two gas stations, restaurants, drug stores, gift shops, boutiques, hand crafts and much more. 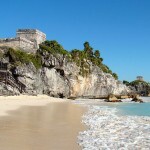 It is a town with no luxuries where you will feel Mexico immerse in the Mayan culture mixed with the European flavor that foreigners that have come to stay, have managed to merge in a unique way. 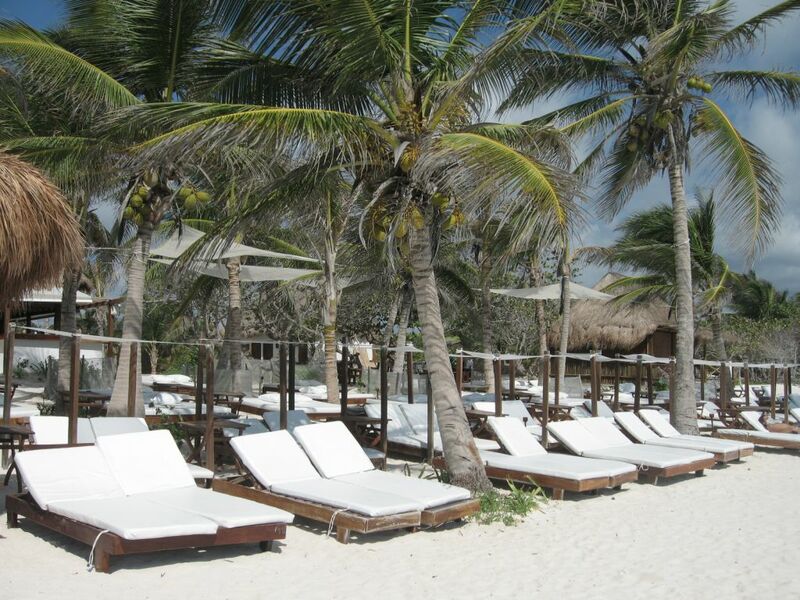 The hotel zone is located in front of the ocean, with one of the most beautiful beaches in all the Riviera Maya. 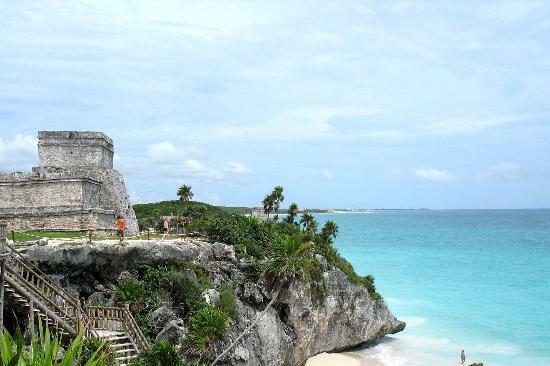 Tulum is magical, the full moon nights are spectacular and you won’t even need a flash light to walk at night. The sky at night is crowded with thousands of sparkling stars and constellations, a view you can hardly see anywhere else. 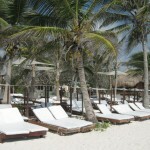 Why choose Tulum for your wedding? Because it is private, secluded, beautiful, and Magical. 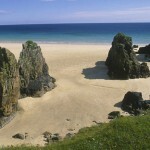 This magic location is the perfect destination to plan your wedding vows. 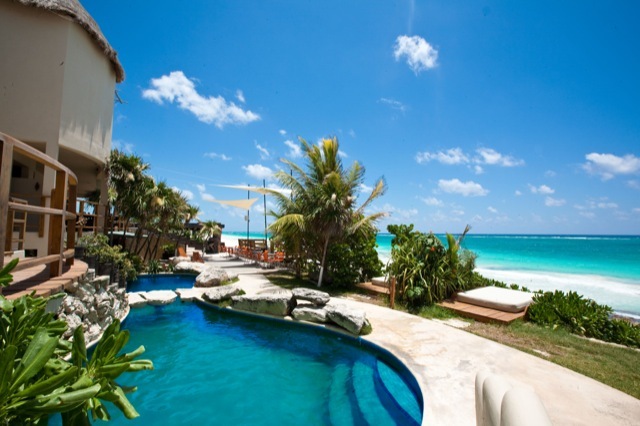 Just 80 miles from Cancun and 15 from Akumal Tulum is the perfect destination for weddings. 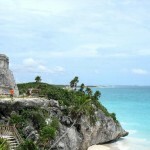 Tulum features an amazing crystal clear beach with white sands paradise, being considered the most beautiful in Mexico. 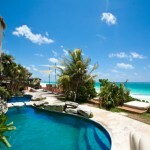 Overlooking the turquoise tropical waters and soft white sand, sits Mezzanine: stylish, yet laid back. 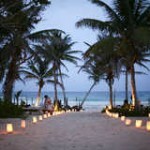 A perfect setting for your Caribbean beach wedding! 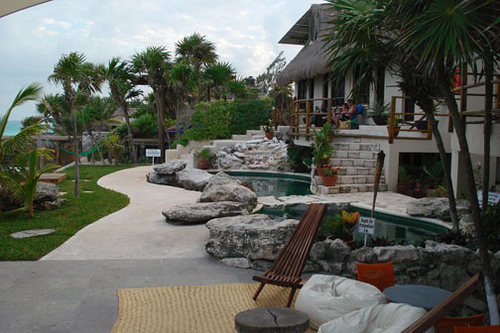 Mezzanine offers an intimate, elegant experience in one of the most remarkable locations in Tulum. Our professional team of servers and chefs will delight you and your guests, leaving you nothing to do except celebrate your special day in perfect Caribbean style.